I spent the first years of elementary school enrolled in a French school. Why, I have no idea because my family is not Vietnamese (although many strangers would ask me and my sister if we were when they heard us conversing in French); we’re Filipino with a native language that is studded with Spanish thanks to the conquistadors. The wedding cake was a multi-tiered vacherin– strawberry and vanilla ice cream sandwiched between three crisp meringue layers covered with whipped cream and a healthy dose of sliced strawberries and toasted sliced almonds. Ooh la la! I had never had anything like that, and thought it was a grand, fancy dessert that took the pastry chefs hours to make. I was so wrong. I made one recently for one of the mommy dinners; I sandwiched a layer of vanilla ice cream and raspberry sorbet between two meringues and covered the entire confection with whipped cream. It was just as fabulous for them as it was for me at 14. 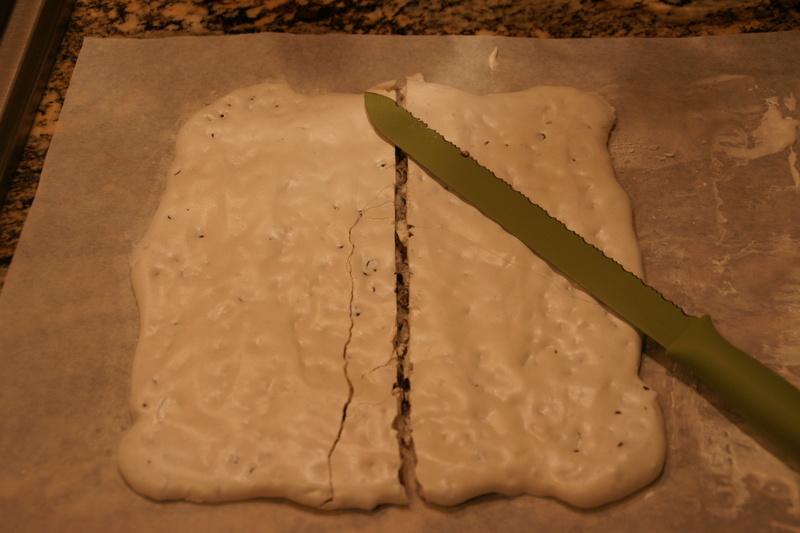 With a serrated knife, first lightly score the meringue into two pieces, then cut the meringue in half. Don’t worry if the meringue breaks– the ice cream holds everything together and the whipped cream hides all flaws! 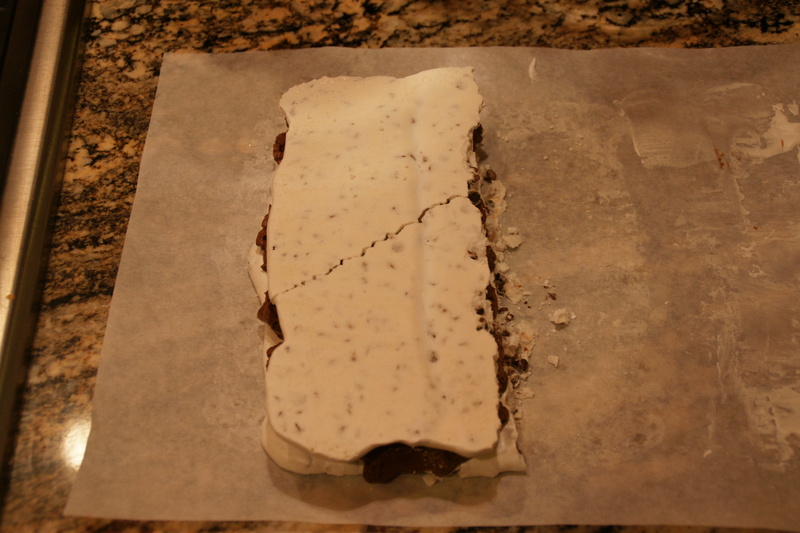 Let the ice cream soften a bit on the counter until it is pliable. If you’re adventurous, you could even try a second flavor. Spread one meringue with the ice cream, creating as thick or thin a layer as you want (I go for about 1 inch per ice cream). 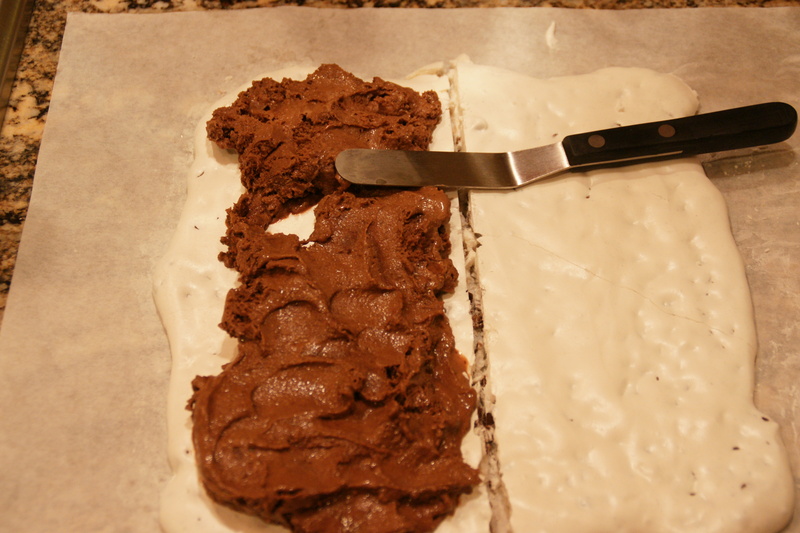 Place the second meringue on top of the ice cream and press gently. Don’t press too hard (especially if you’re working with an already cracked piece as I was)! 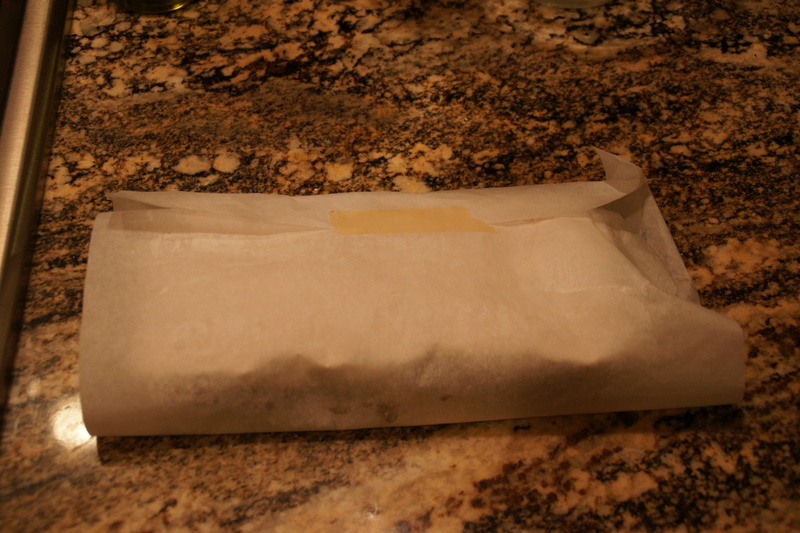 Wrap the cake in wax paper and freeze until firm. 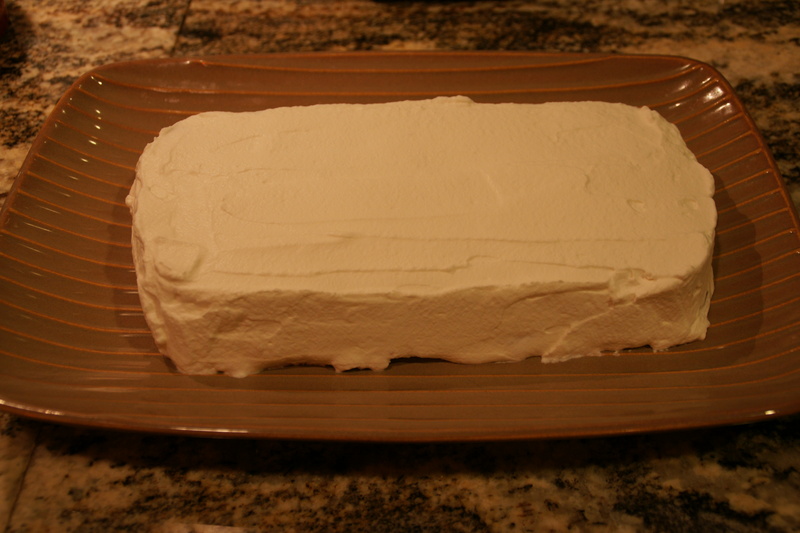 When the ice cream has hardened, whip the cream with the sugar, then frost the entire cake. Slice with a serrated knife and serve! The texture is fabulous– crunchy meringue and tiny chips contrast with the whipped topping and ice cream! YUM. 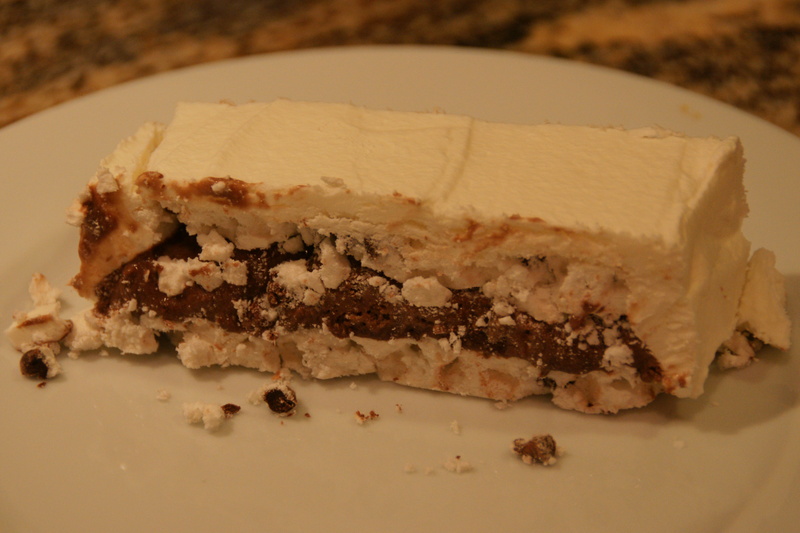 You can use the mini-chocolate chip meringue recipe with or without the chips to pipe (or spread) two 9-inch disks, approximately 1 inch thick. Bake as usual until meringue is thoroughly dry (again, not on a humid day). Buy two pints of ice cream (my faves are vanilla and raspberry sorbet) and some heavy whipping cream. Decorate with toasted slice almonds, cocoa powder, chocolate shavings, berries…whatever you fancy– and you’ll have a beautiful dinner party dessert! Hmmmm……you must have made this on a Mommie’s night when I wasn’t present. An encore this Saturday would be greatly appreciated. BTW – this is my RSVP that I’ll be, for sure! Yeah, it was a hit. Uh– did you read the part about NOT making meringue when it’s wet outside? LOL, maybe if it clears by Friday!